I shampoo and condition my hair almost everyday. With the extensive color, wash and blow dry, my hair condition has become dry and frizzy over the years. That's why I love to go for hair treatment but it cost a bomb to my wallet, hence I am always invest in a good home care to take care my hair from getting worsen. I was introduced to Marini NaturaleMagic brand by a friend recently. 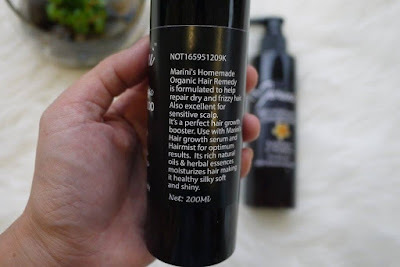 When searching for more information on the brand, I found that MariniNaturale Magic has natural products that proudly made in Malaysia. The price is very reasonable hence I thought why not give it a try. 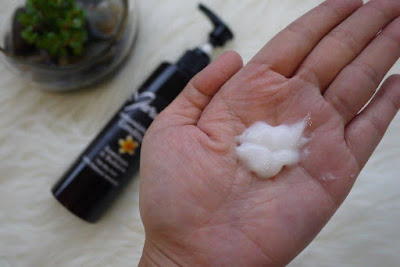 So, I have tried out the Marini Naturalemagic Kemboja & Bidara Shampoo and Conditioner on my hair lately. My first impression, I like that the shampoo and conditioner comes in a black plastic pump bottle, which made it very easy to pump out the amount that I need every time. Now, let's see how's it work on my hair individually. 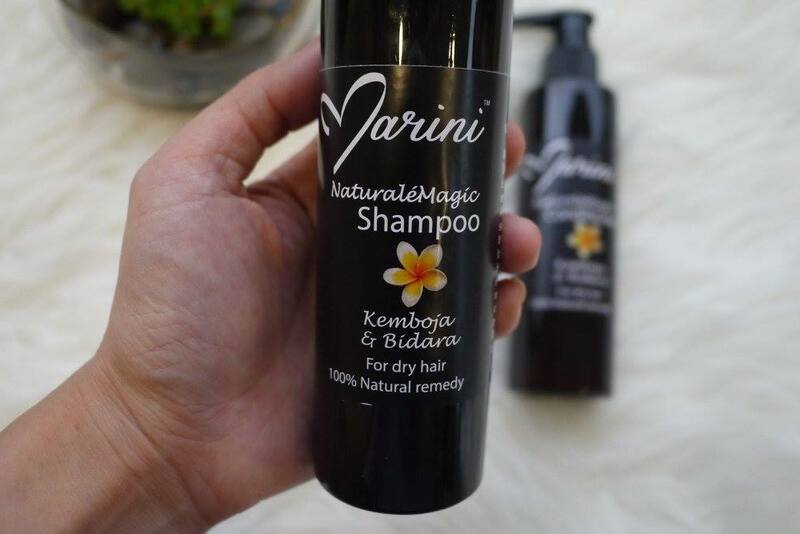 Marini Naturalemagic Kemboja & Bidara Shampoo is formulated with Candlenut oil, which also know as 'Buah Keras'. It makes black hair blacker and coloured hair shinier, promote hair growth, reduce hair loss and eliminate dandruff. It also contains bidara extract to get rid of negative afflictions and keep your fresh all day. 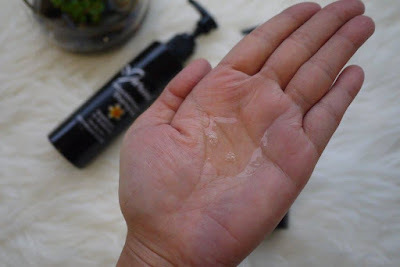 The shampoo is transparent and has a light texture. It is also not bubble much but it does a good job on cleaning my hair. My hair feels lighter, smoother and lessen hairfall after using it for 2 weeks now. Just like the shampoo, Marini Naturalemagic Kemboja & Bidara Conditioner is also formulated with Candlenut oil also know as 'Buah Keras' that makes black hair blacker and coloured hair shinier, include bidara extract to get rid of negative afflictions and keep your fresh all day, promote hair growth, reduce hair loss, and eliminate dandruff. 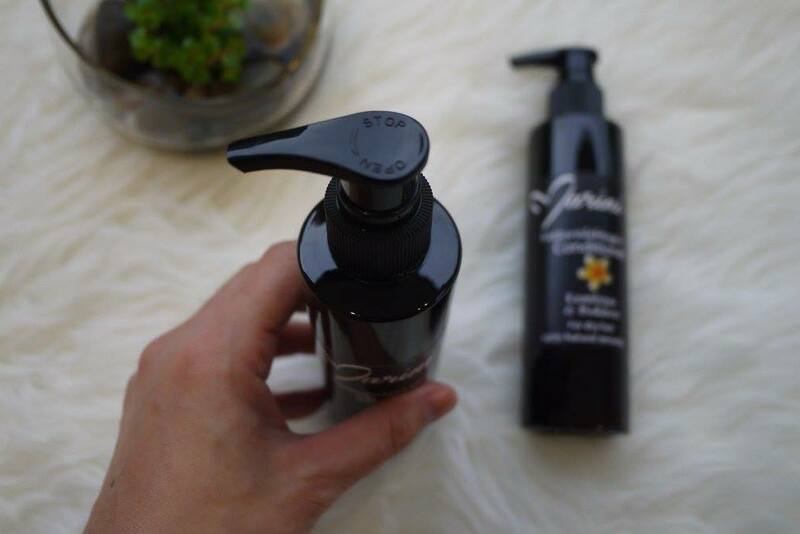 The conditioner is rich and creamy texture, it complements the shampoo beautifully, leaving my tresses soft, smooth and manageable for the day. 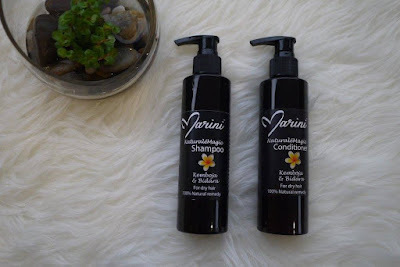 Both Marini Naturalemagic Kemboja & Bidara Shampoo and Conditioner have a very unique frangipani scent which would soothe you right down to your soul, they are 100 % chemical free, hence is cancer patients friendly. Suitable for both men and women, it is definitely a household shampoo and conditioner for the whole family. For more information on Marini Naturalemagic, go to their Facebook page and follow them on Instagram. To buy Marini Naturalemagic's products, kindly WhatsApp +6-014 669 1048 or get yours now at Lazada and Shopee. Wah... Menarik sangat shampoo ni sebab ingredient dari bahan semulajadi. I've heard good things about this kepek önleyici şampuanlar product. Going on my wish list now!